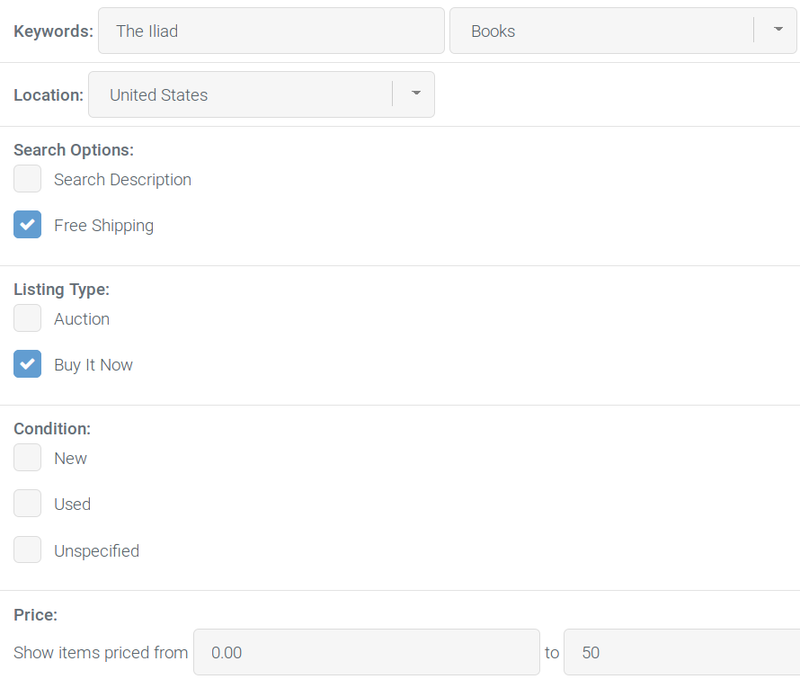 Receive up to the minute alerts for newly listed items on eBay using highly configurable search queries. Search queries are saved to be searched and monitored. Each search query is searched every minute. New results are sent directly to your email. Keep tabs on a search query with real time updates. You will have the ability to craft search queries that will then be run against eBay and any new results are sent directly to your email. These queries are run every minute so you are up to date with every new listing that is posted on eBay. Many options are available to you so you can narrow down the items by category, type of listing, price, and even location. 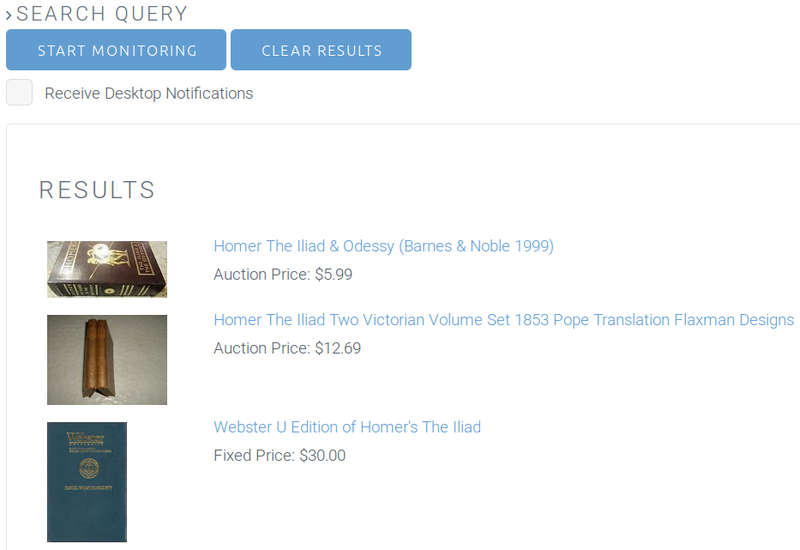 Utilizing the monitoring tool, you can have real time updates for newly listed items on eBay, complete with desktop notifications. With this, gone are the days of manually refreshing the eBay site, looking for good deals. All the work is done for you. Just tell us what you're looking for. Every new result is sent immediately to your email address. 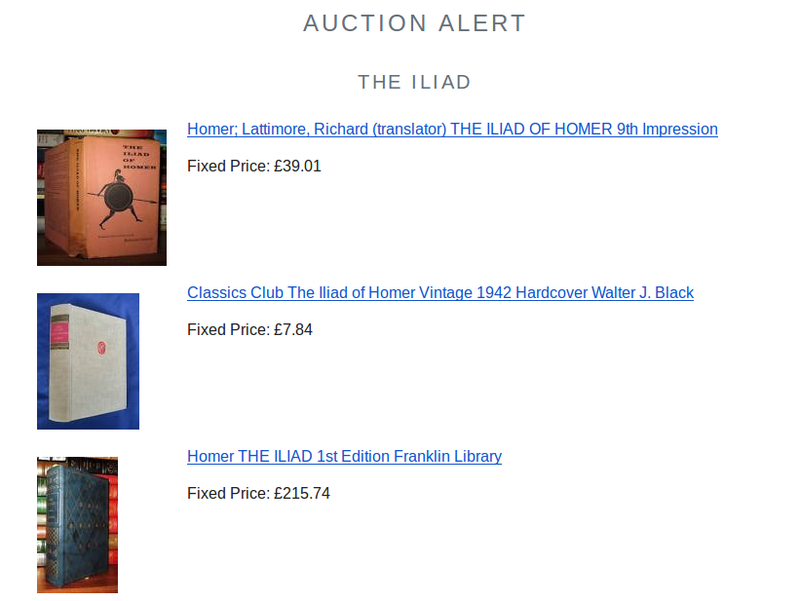 From there, you are free to access the item's listing and bid or purchase. In addition, up to 20 results are saved on the site so that you can look at the previous results without having to sift through your emails.